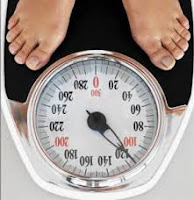 You know how important calories are when it comes to losing weight. No matter how much time you spend at the gym preparing for crop-top season, if you're taking in way more than your body needs, it'll be hard to see results. But what if you're eating fewer calories than you thought? The nutrition industry might be overestimating calorie counts in some foods by up to 25 percent, says a New York Times piece on calorie miscounting. According to the article, that can translate into eating hundreds fewer calories than you assume. "We've known about this for some time," says Dawn Jackson Blatner, R.D., author of The Flexitarian Diet. "The issue is that the number of calories on food packages is really the number of calories that are available in the food, not what your body uses." 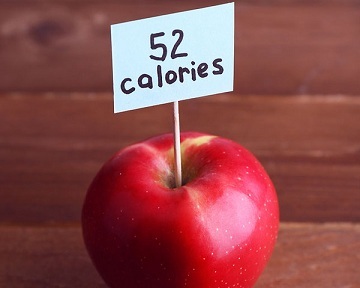 First, some background on how calories are calculated: Scientist Wilbur Atwater of the Department of Agriculture devised the initial calorie-calculating system in the late 1800s, according to the New York Times. It's evolved a bit since then, so now researchers burn a bit of food in a mechanism called a calorimeter. After water absorbs that heat, the researchers measure how many units of energy (a.k.a. calories) are necessary to raise the temperature of the water. One calorie boosts one gram of water by one degree Celsius. Since proper calories are usually too small a unit to measure food, what you see on labels is kilocalories, each one equaling 1,000 calories. When food is hard to digest, your body burns calories in a process called thermic effect of food, or TEF for short. The more complex a food is, the more calories you usually burn digesting it. "There was a study years ago on people who ate two different grilled cheese sandwiches: white bread with American cheese and whole-grain with cheddar cheese," says Jackson Blatner. "Although the calorie counts were identical, the people who ate the healthier sandwich burned more calories." That means that, while the calorie content of high-protein and high-fiber foods may be misleading because of how much work your body has to do to process them, the amounts listed on packages of processed junky food is probably more on-target. Protein- and fiber-filled snacks keep you satiated longer as your body works to digest them, so think of the extra calorie burn as a perk. The other aspect at play here is that some foods don't fully digest, so your body can't absorb all their energy. 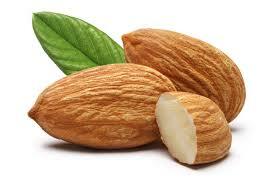 Enter the holy grail of healthy snacks: almonds. Recent research suggests that the nuts' calorie counts are listed at about 25 percent higher than they actually are (at least as far as your body is concerned). "There have been talks of the almond situation," says Jackson Blatner. "While the calories listed on the label might not be 100 percent perfect, they will get you in the ballpark. They're not useless." They're also not the full picture of nutrition people might expect, and this is a good reminder of that. "I like to call it 'calorie guessing' instead of counting," says Jackson Blatner, "and it's only one thing in your toolbox." In other words, this news about calorie counts might be startling, but it shouldn't make you feel as though the healthy-eating rug has been completely pulled out from under you. "You can combine your calorie guessing with eating proper portions of good-quality food, then sitting down and being mindful as you eat," says Jackson Blatner. "Calories aren't the be-all, end-all." Speaking of that buzzword, mindfulness, it's skyrocketed in popularity, taking a bit of the spotlight off the importance of calories in recent years. "Mindfulness is slowing down before you make food decisions, which helps with what you're putting on your plate, and chewing your food slowly enough to pay attention to hunger and fullness cues," says Jackson Blatner. "I think it's probably gained a little more momentum because we understand how much portions factor into weight loss." At the same time, Jackson says mindfulness hasn't knocked calorie counting off its societal weight-loss throne. So is unwittingly taking in too few calories potentially the source behind a scale that won't budge? Not likely, says Jackson Blatner. The numbers aren't off enough to send your body into starvation mode. "Calorie counting works because it gets you in the ballpark," says Jackson Blatner. "Even if they were 100 percent right, you'd still have the human element of portioning in there, so you could still be taking in more or less than you thought." If you're still skeptical and worried that you've been cheating yourself of the calories your body needs to drop weight, let the scale be your guide. "The only way to know whether you're eating the right amount of calories for your goals is to use the scale after seven to 10 days of eating a certain amount," says Jackson Blatner. If it's still in the same place, whether you think you've upped or lowered your calories, Jackson Blatner recommends double-checking your portion sizes and making sure you're relying on healthy foods whenever possible. Think of it as a weight-loss double-whammy: When you eat filling foods, it's automatically easier to stick to healthy portion sizes. And don't forget that bonus calorie burn!